@Proxence: Have to say @apexminecraft has the best customer support from any minecraft hosting company i've ever seen! @CallicoPlays: @apexminecraft I bought a server from you and I really love it. I would not look back. @TeamUnlocated: Shout out to @apexminecraft your services are epic and its keeping #SwiftFactions alive so far! @NicsGames: Who do I use for 24 hour #Minecraft servers? The answer is simple, @Apexminecraft! Check them out! Install and play the best modpacks with only the click of a button. Fully secured and protected from small to large DDoS attacks. The best support team in the industry featuring dedicated live chat. Data centers around the world provide great ping for your players. 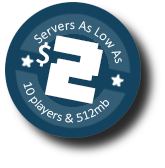 Servers are automatically created and ready to play in seconds. Automatic backups guarantee your data will not be lost. Control your game server with simplicity on our custom Multicraft panel. Our test servers around the world provide the lowest ping for your players. We have proudly hosted over 75,000 Minecraft servers. This is actually a very cheap and reliable Minecraft host and has a very easy to use control panel. I recommend it 9.5/10. Great server host and very easy to use. Switched from another and Apex is much better! We provide the best Minecraft server hosting for any type of server you would like to set up and are the official host of the Technic Launcher. Our dedicated hardware feature high clock speed CPU and SSD drives providing high TPS and lag free servers for every one of our customers. Our Minecraft game servers allow you to play Minecraft: Java Edition on modpacks from Feed The Beast, ATL, Voids Wrath, Technic, Bukkit, Spigot, Vanilla, Sponge, Snapshots, MCPE or Minecraft: Bedrock edition on PocketMine. You can also easily change server versions or install plugins and mods at any time for free using our enhanced control panel. The worlds most helpful and knowledgeable support staff.